But one stood out — a 5-foot-8-inch (1.7 meters) man with serious trauma on his right shoulder blade, 10 of his right ribs and left leg. . . . The man was about 45 years or older when he died, according to a bone analysis. He was buried in a stone-lined grave, a type of grave that was used between the 12th and 14th centuries, the researchers said. Four of the man's ribs showed healed fractures that may have occurred simultaneously, suggesting a single instance of trauma, researchers wrote in the pathology report. 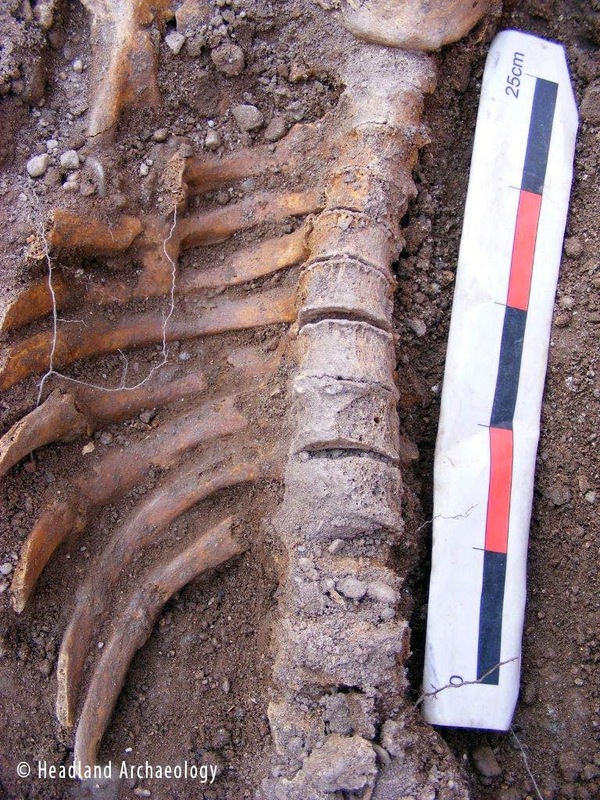 Another four ribs were in the process of healing, indicating that the man was still recovering from the injuries when he died. The other two damaged ribs also show evidence of trauma, and his left lower leg has an unusual twisting break, one that could have been caused by a direct blow or a rolled ankle, according to the report. The excavators think the wounds resulted from a lifetime of jousting. They suggest combat, but there is no damage from sharp weapons, just the sort of battering you might get from melees with wooden weapons or tilting with a blunt lance. Elemental analysis of the bones suggests that this man did not grow up in Britain, so he may have been from Normandy or elsewhere in France. His wife probably told him that if he kept jousting with young men he was eventually going to be killed. I have to side with historian Mike Loades on this one, and believe that the nature of the wounds seems to indicate they were inflicted in a tourney rather than a joust. If You're Not a Tiger Mom, What Are You?